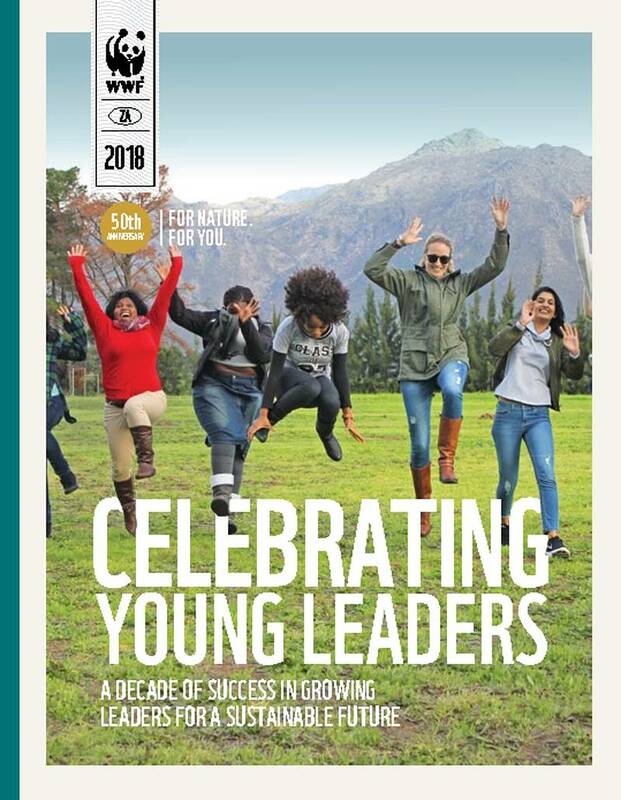 A decade of success in growing leaders for a sustainable future Graduate unemployment in South Africa grows at an unprecedented rate each year. Internships are a proven way to help new graduates develop their skills and gain experience so that their employability increases which improves their chances of landing a job. WWF’s Environmental Leaders internship programme celebrates its 10th anniversary in 2018. The programme has placed 128 young leaders who now find themselves in strategic jobs supporting South Africa’s green economy. This special publication tells some of their stories, set against an insightful backdrop of the unfolding of environmental education and green skills development in South Africa. Over the years WWF has worked with a number of partners to support these young environmental leaders. WWF would like to see more partners coming on board! From funding to hosting, partnerships are varied and offer opportunity for further expanding the value of structured internships for our country’s youth and our shared future.